March 2, 2018 March 2, 2018 / Julie Brook, Esq. 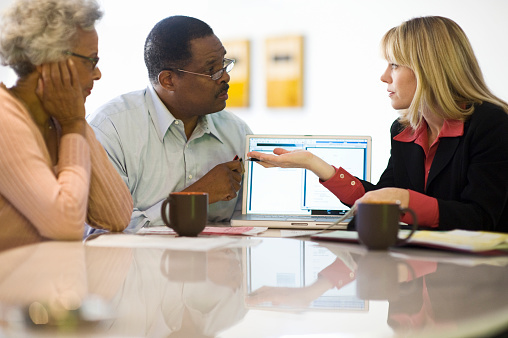 Attorneys are often asked to review a will prepared by either another attorney or the client who used a self-help book. But review of an existing will really means an estate plan review, including beneficiary designations and powers of attorney. It’s relatively simple to spot improper drafting, but harder to determine whether needed provisions were omitted. This checklist will help you review a will and estate plan to make sure it’s up-to-date and meets your client’s needs. __ Has the client’s name changed? __ Is the client’s domicile correct? Would it make sense to begin to document a different domicile? __ Are the declarations on the client’s family current? __ Has there been a change in the nature and value of the client’s assets, or the characterization of significant assets? __ Is the will prone to attack for breach of a contract to make wills or not to revoke wills? __ Does the will or some other document name someone to handle funeral arrangements and the disposition of remains? __ How are debts and estate taxes to be paid? Does the burden of liabilities fall on the intended parties? Are the marital deduction gift and other specific gifts affected? If the residue is to pay debts and taxes, are there sufficient residuary assets to do so? Are the statutory abatement rules satisfactory to the client? __ Are any secured debts to be exonerated? __ Does the will provide for payment of packing and shipping expenses? __ If the client has a revocable trust, are the instruments coordinated in terms of payment of liabilities, especially taxes? __ Have generation-skipping transfer (GST) tax consequences of the will been reviewed? What provisions have been made for payment of GST taxes? __ Has the client considered ways to minimize probate fees? __ When the will was prepared, did the client consider methods to minimize estate tax liability? Is it appropriate to do so now? __ Does the client no longer own any items that have been specifically devised? Does the client want to say what should be done if an item specifically devised is not part of the estate at the time of the client’s death? __ Have there been any advances not reflected in the will? __ Are the primary and alternate beneficiaries current? __ Are any gifts made to a class? Are the identities of the members of the class clear? __ Are the items or groups of items being devised clearly identified? __ Is there any reliance on “informal” means of testamentary disposition, e.g., a letter to the executor? If so, is the document current? __ Are there any general pecuniary devises? Has the matter of interest been addressed? __ Are any devises made to charitable organizations? Has the organization been correctly named? Are there any conditions on the gift that might affect deductibility? Has provision been made for an alternate charitable beneficiary? __ Are any beneficiaries minors? If so, have provisions been made for the fact that a minor cannot directly receive a devise? __ Does the client possess items belonging to someone else? Should the will confirm that the client does not own such items? __ Does the existing will contain any demonstrative devises? Is the fund out of which the devise is to be made still sufficient to make the devise? __ Are any tangible items of a personal nature going to a trust? If so, are they appropriate assets for the trust corpus? __ Does the client have a power of appointment? If so, does the will carry out the client’s wishes on the power? __ If there is a pourover provision, does the will specify what is to happen if the trust into which the residue was to have poured is revoked? In addition to these items, the review should also cover the nomination and powers of fiduciaries, confirmation that the will has been properly executed, and consideration of any special issues, e.g., whether a testamentary special needs trust is appropriate and whether the client has made arrangements for his or her incapacity. Get a more complete checklist and guidance on each of the issues in CEB’s California Will Drafting, chap 4. 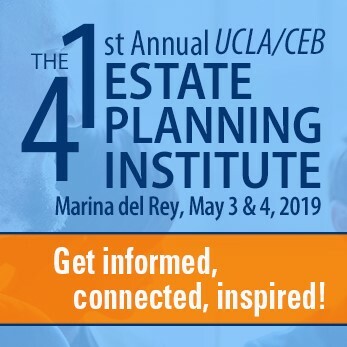 If you’re fresh to the estate planning field, consider taking CEB’s new online course Practice Skills │ Estate Planning to get the detailed guidance and instruction you need to meet with clients and confidently draft estate planning documents.